Concrete has been the world's most popular building material for thousands of years and since its inception we have been trying to make it more durable and resilient. Microbiologist at the Netherlands Delft University of Technology, Professor Henk Jonkers is at the forefront of solving concrete's biggest problem - cracks. Speaking with CNN, Professor Jonkers explained that no matter how carefully concrete is mixed or reinforced, it will eventually crack, which can lead to structural problems or even collapse. 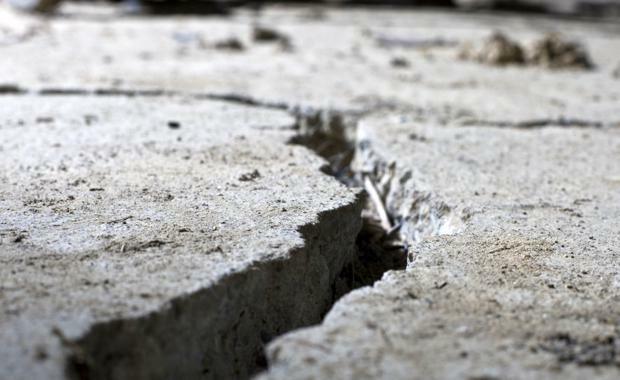 "The problem with cracks in concrete is leakage," Professor Jonkers said. "If you have cracks, water comes through - in your basements, in a parking garage. Secondly, if this water gets to the steel reinforcements - in concrete we have all these steel rebars - if they corrode, the structure collapses. "Seeing an opportunity to improve on the material Professor Jonkers began work on bioconcrete in 2006. "You need bacteria that can survive the harsh environment of concrete. It's a rock-like, stone-like material, very dry," he said. With concrete being alkaline, Professor Jonkers explained that the 'healing' bacteria must stay dormant for many years before being activated by water. Taking into consideration the alkaline nature of concrete, he chose bacillus bacteria, as they can survive for decades without food or air, not to mention they thrive in an alkaline environment.